WWF Nepal is a longstanding partner of the Government of Nepal in all its conservation programs in the Terai Arc Landscape and Sacred Himalayan Landscape. This partnership is important for WWF in its mission to conserve the rich biodiversity of the country amidst the various challenges conservation faces from both anthropogenic sources and climate change. Significant achievements have been made in conservation through the decades despite the frequently changing context in the country, thanks to the concerted efforts of the government and the conservation partners. 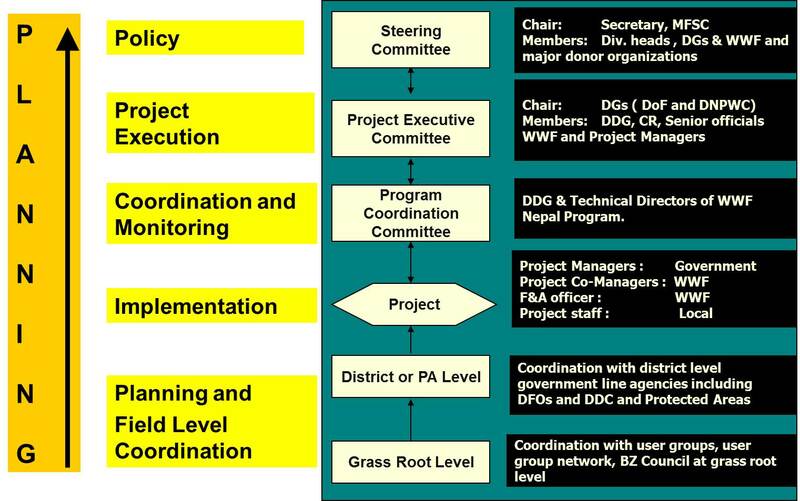 The expansion of protected area system, increase in the number of endangered rhinos, the first ever monitoring of Asian big cats (Bengal tiger and snow leopard) in the country level, introduction of biogas and its carbon offset, REDD+ and landscape level carbon stock mapping, implementation of water and climate adaptation program, and an enabling policy environment are but a few examples. WWF Nepal strives to attain greater results in the field of biodiversity conservation against the backdrop of climate change in the coming period. It puts community benefit and community participation at the centre of conservation interventions so as to ensure program sustainability and demonstrate conservation impact.